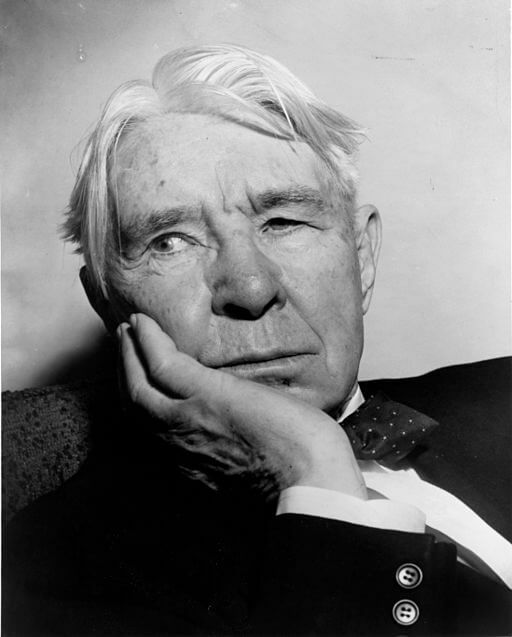 Carl Sandburg (1878 - 1967) was a Swedish-American poet, editor, and folk song writer who earned three Pulitzer prizes. Two were for his poetry collections: Cornhuskers in 1918 (which he shared with Margaret Widdemer), and Complete Poems in 1951. In 1940, he won the Pulitzer Prize in History for his three-volume work titled, The War Years , a sequel to his biography about Abraham Lincoln: The Prairie Years (1926). We feature Sandburg in Pulitzer Prize Winners. Sandburg's wide-ranging appeal for his poems extended into popular folk songs. His anthology, American Songbag (1927) was a huge success, gaining him recognition as perhaps the first urban folk singer. His work inspired Woody Guthrie and Pete Seeger , among other populist American folk singers and poets. Raised in the small town of Galesburg, Illinois, Sandburg's wide range of work and life experiences contributed to his "corny" style of literature, creating accessible and enjoyable poems that appealed to a broad range of readers. According to President Lyndon B. Johnson : "Carl Sandburg was more than the voice of America, more than the poet of its strength and genius. He was America." Fans of Carl Sandburg may also enjoy the parody poems of favorite fables and fairy tales by Guy Wetmore Carryl.